And it was. Just ask Mayor Erin Stewart. Mayor Stewart; Lt. Gov. 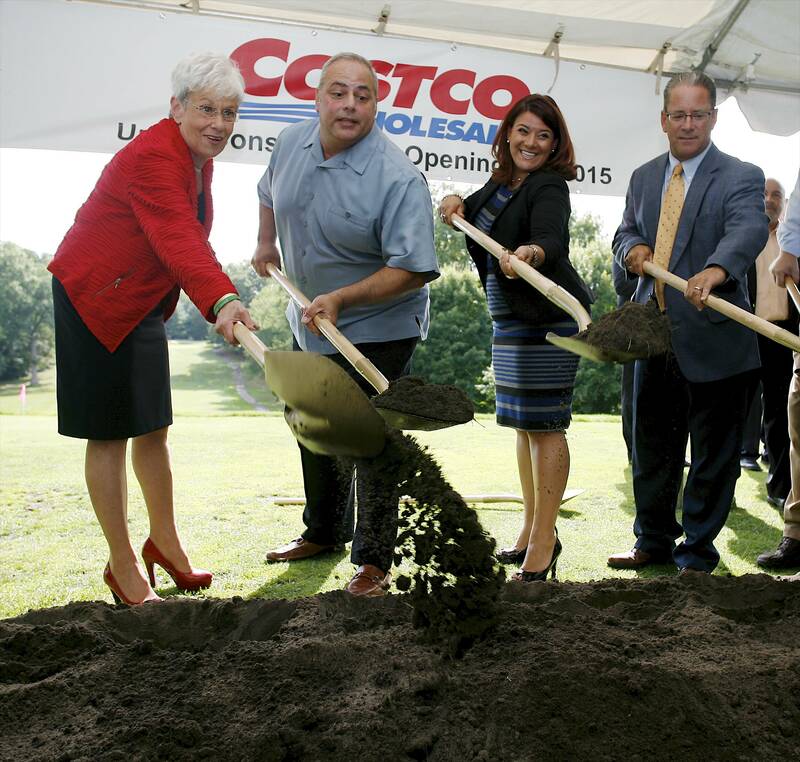 Nancy Wyman; Tim Stewart, president of the Greater New Britain-Berlin Chamber of Commerce and Joe Montesano, project coordinator for Costco Wholesale all had something to say about the four-year effort to bring the warehouse store to a site south of Westfarms Mall. Costco is expected to open for business in the fall of 2015. Stewart hailed the promise of 225 jobs in a city where the unemployment rate surpasses the state’s. New Britain residents will have first priority for jobs. Costco’s average wage is $21 an hour; a cashier with five years’ experience earns more than $50,000. Wyman pointed out that, in addition to the Costco store jobs, the project will create construction jobs for many more workers. Former Mayor Tim Stewart recalled four years ago when Bill Carroll, director of development for the City of New Britain, came to his office with a local attorney and asked Stewart what he thought about a Costco near the Target store. Though Stewart favored the project, he hesitated when he later realized it meant tearing up part of the city’s popular golf course. Negotiations eventually involved reconfiguring and fixing up the course. The mayor said the project “got done” because state, federal and local government worked together to make it happen. She thanked members of the Common Council who had voted for the project and city attorneys Seth Feigenbaum and Gennaro Bizzarro. But the project almost didn’t get done. Montesano confirmed to the Herald that in late August Costco was ready to walk. Without a “go ahead” from the city council Costco officials were considering building a store in another community. DeMaio said with Costco people sodding and working with his staff at Parks & Rec weather permitting the “Red Nine” holes at Stanley should be open in the spring.